Great Accessories for your Nintendo Switch~! Rock your Nintendo Switch in style or keep them protected with these fantastic products! Don’t forget you can sign up for FREE SHIPPING on Amazon! 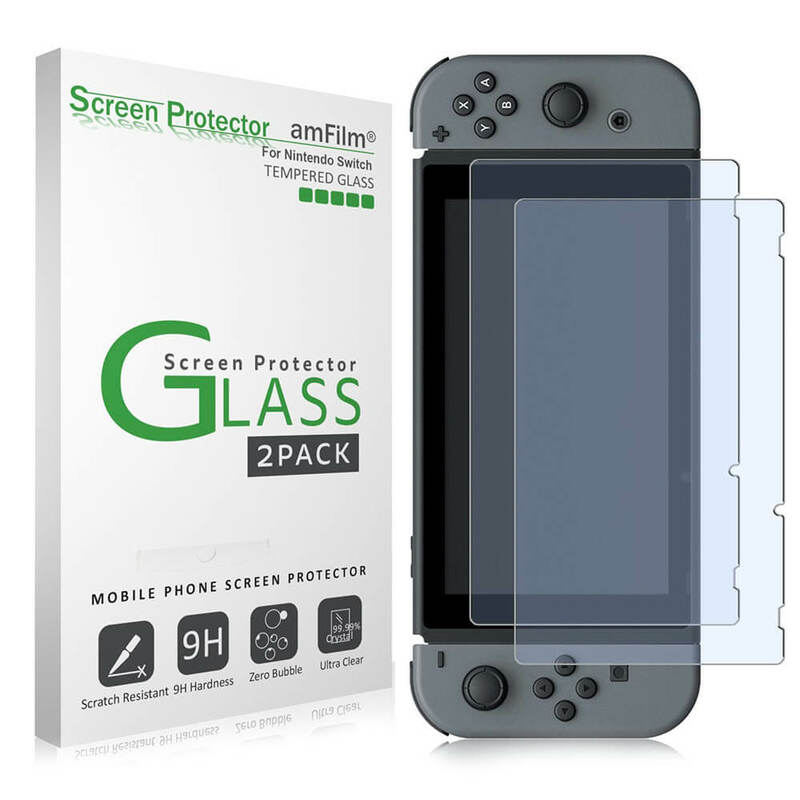 Highly durable and scratch resistant/chip resistant, this protector will guarantee your Switch the best protection against drops, bumps, scratches and normal wear and tear. Simply align the protector with your device and a simple swipe of your finger adheres the protector to your screen. 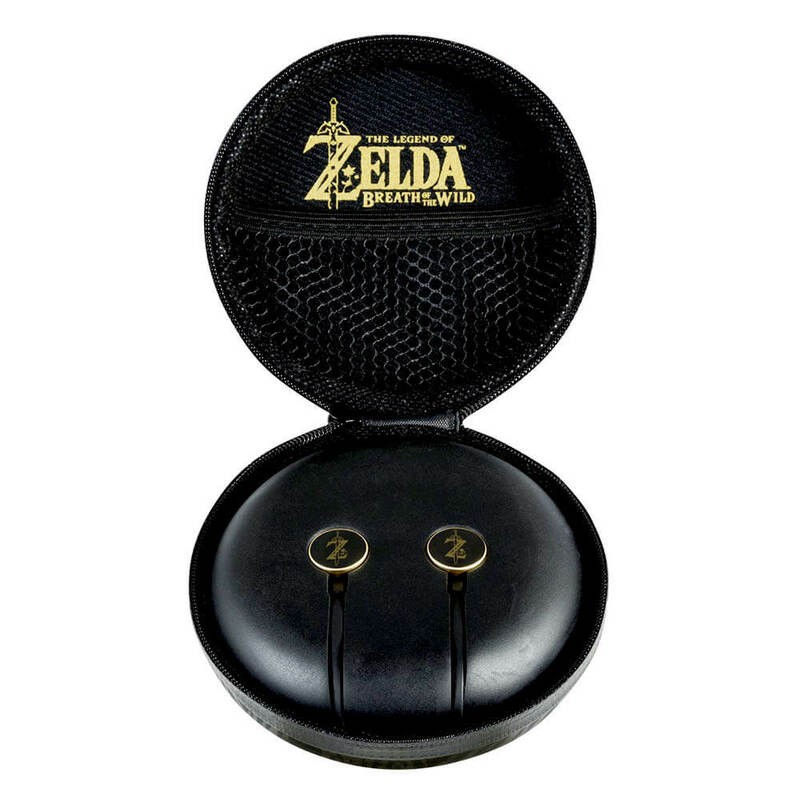 Officially licensed by Nintendo, these earbuds are designed to work with your Nintendo Switch console and feature a design inspired by Zelda: Breath of the Wild. The hassle-free lay-flat cable and in-line mute controls make them simple to use and carry with you. These chat earbuds include a zipper case with a silicone cable wrap to keep it all organized. Officially Licensed by Nintendo. 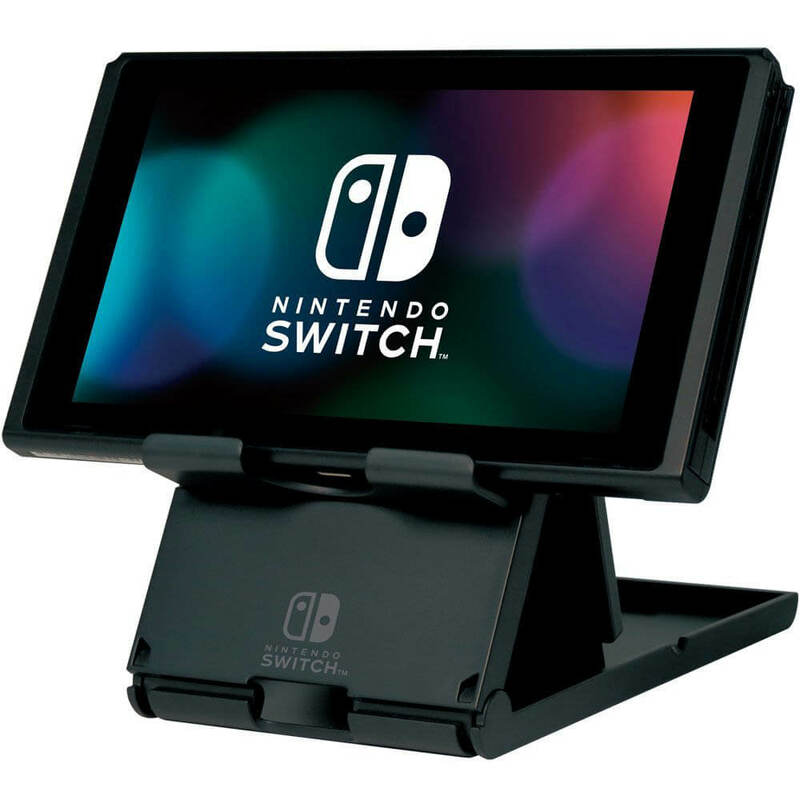 Enjoy playing your Nintendo Switch at the perfect angle with the Compact PlayStand by HORI! Folds out to hold the console at an adjustable angle, secured in place by rubber grips. 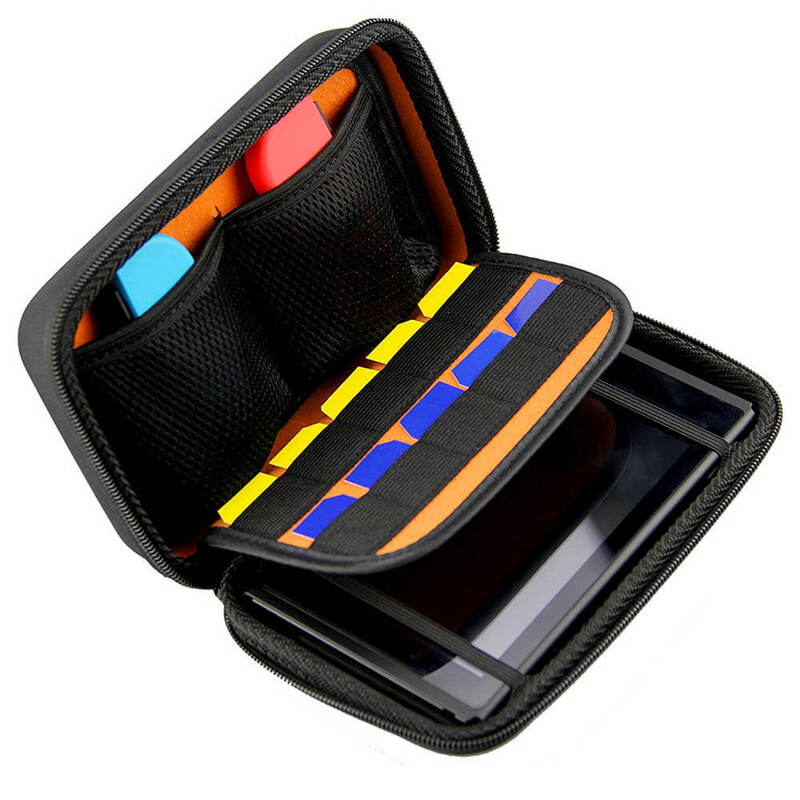 This travel case has a padded divider to protect the screen and a zippered mesh pocket to hold extra game cards. 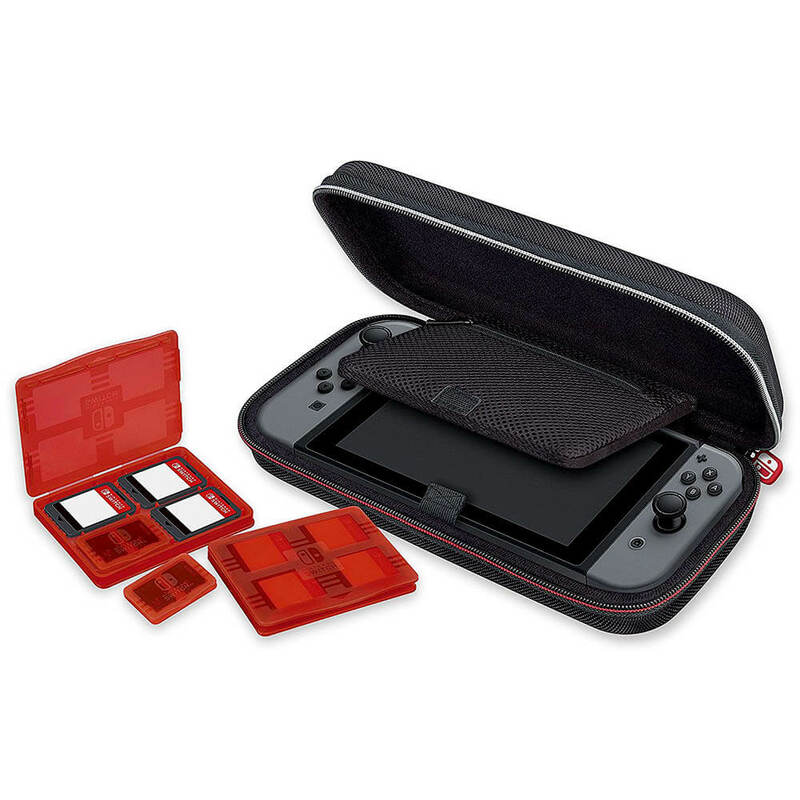 This case also includes 2 red transparent game card cases, which hold 4 Nintendo Switch game cards, and 2 red transparent Micro SD card cases which will fit in any section of the game card cases. There are four designs available for the case, including an electric blue Legend of Zelda: Breath of the Wild design. 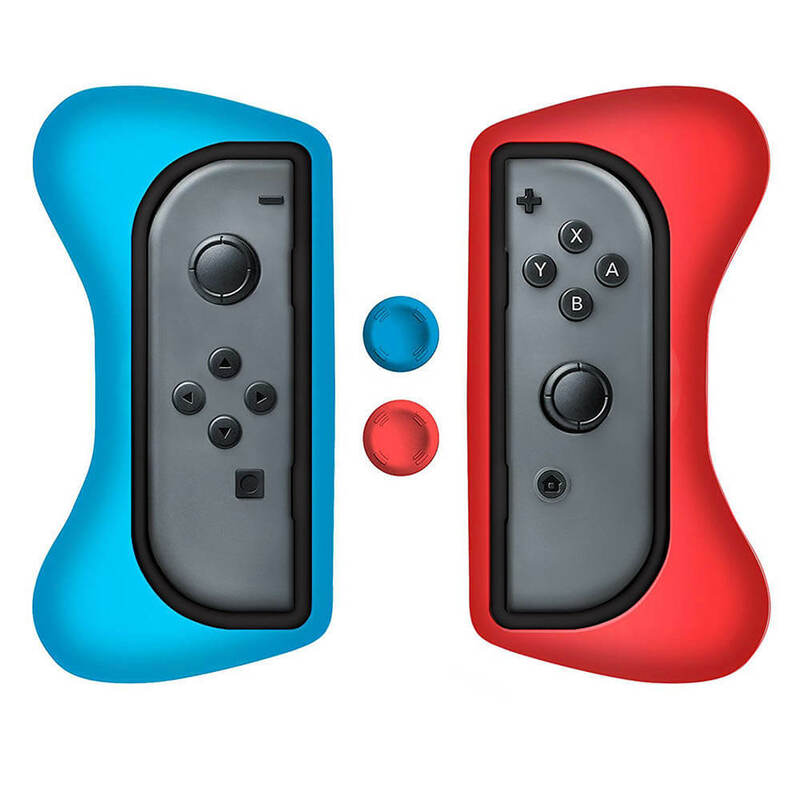 Protect your Joy-Con controllers from everyday wear and tear/bumps and scrapes with thumb grips and ergonomically designed grips. 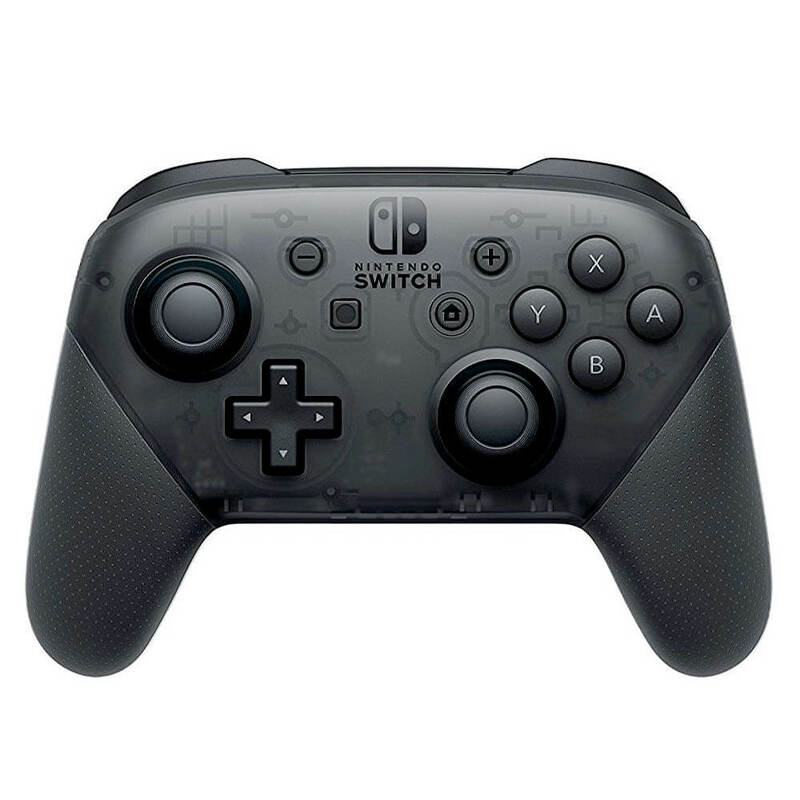 This kit comes with two Joy-Con controller grips and two thumb stick grips designed to provide superior grip and enhanced comfort. This case was designed to make your new Nintendo Switch Console even more portable & travel-friendly. It can fit your Nintendo Switch and 2 Joy-Con controllers comfortably while protecting them from accidental bumps, scratches, and drops. This Zelda game case stores up to 6 Switch game cards and features a spring-loaded pop-out drawer. 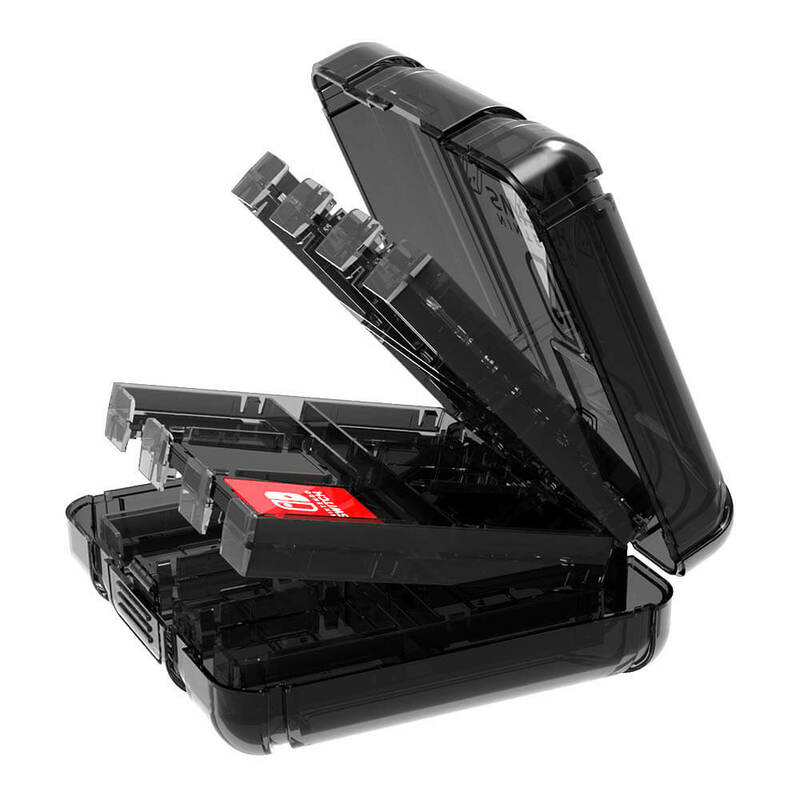 It's compact enough to hold onto your favorite games while on-the-go. Take your game sessions up a notch with the Nintendo Switch Pro Controller! This controller includes motion controls, HD rumble, built-in amiibo functionality, and a charging cable! 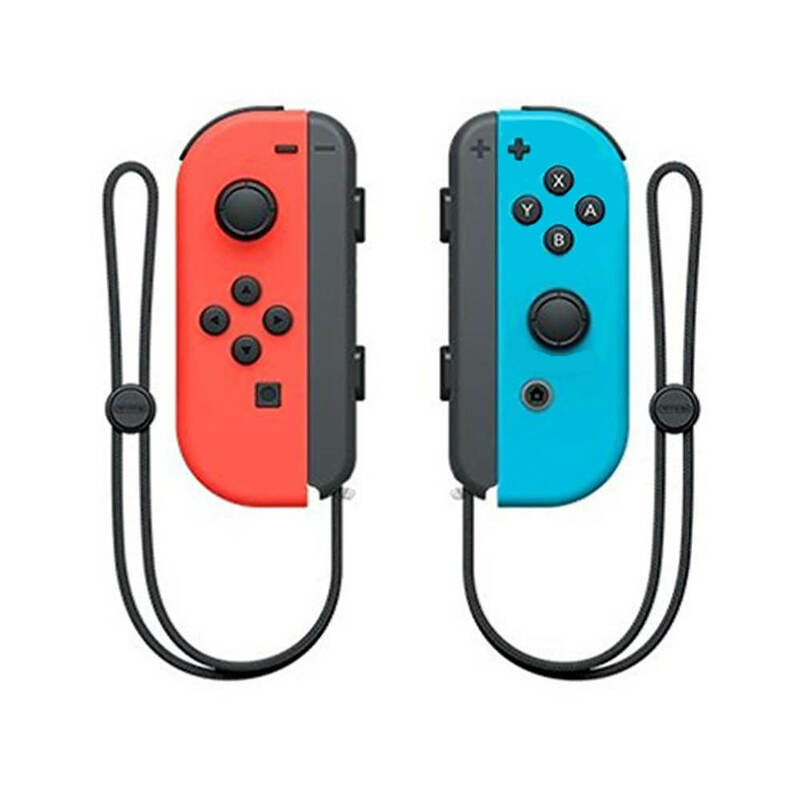 The versatile Nintendo Switch Joy-Con controllers can be used independently in each hand, or together as one game controller when attached to the Joy-Con grip. 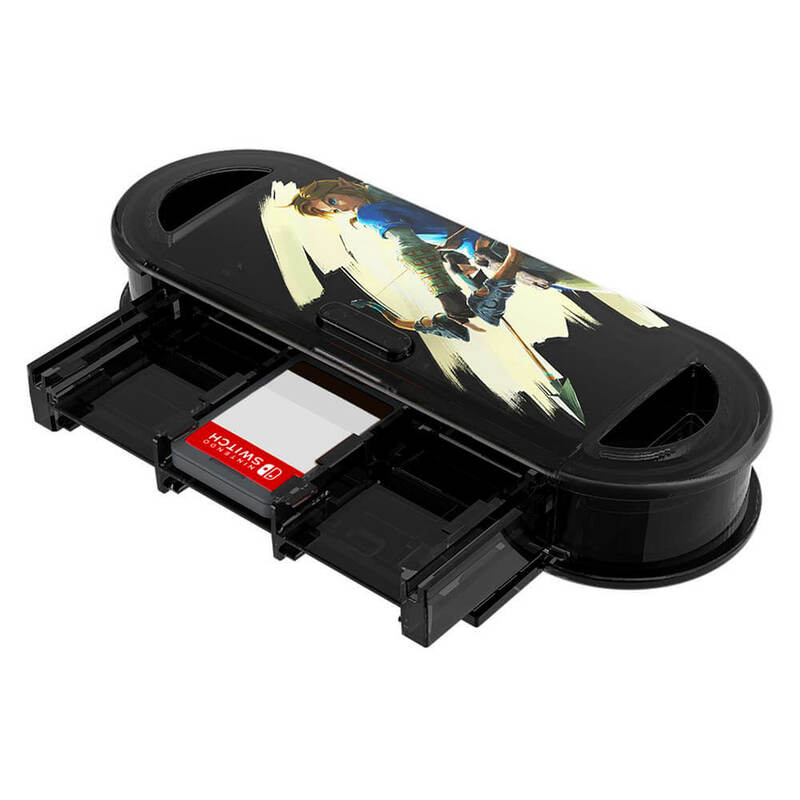 They can also attach to the main console for use in handheld mode, or be shared with friends to enjoy the two-player action in supported games. 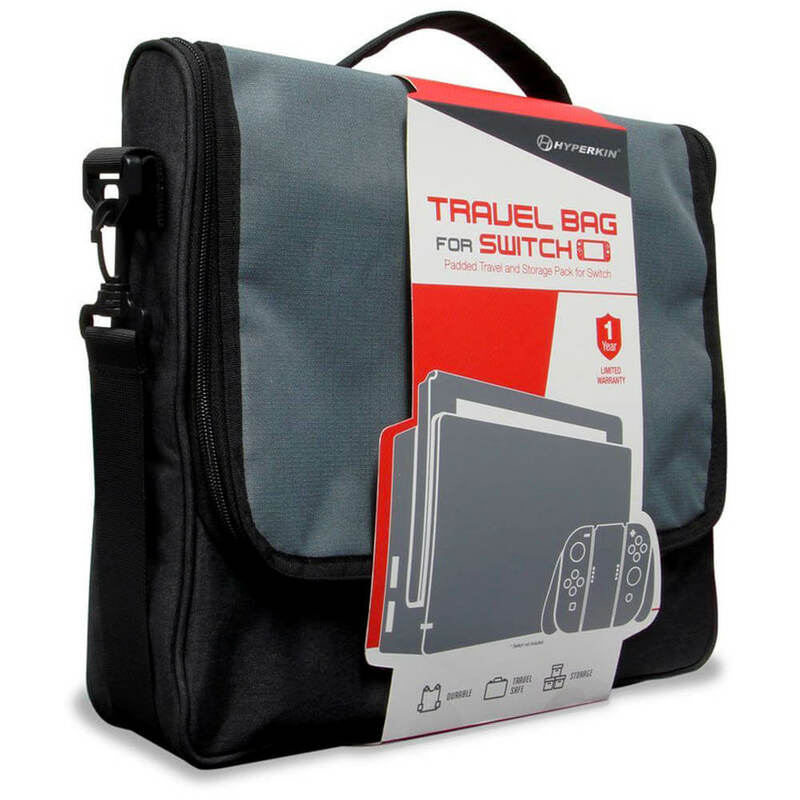 This compact, protective, and portable travel bag is perfect for storing your Switch and accessories on the go! Your console and accessories fit comfortably in the padded main storage area and compartments, while its back zipper pocket provides additional storage space. Sling your travel bag over your shoulder for hands-free convenience or remove the adjustable 4 ft. shoulder strap and carry via its handle. Protect your Nintendo Switch with this lightweight yet sturdy Tough Pouch by HORI. 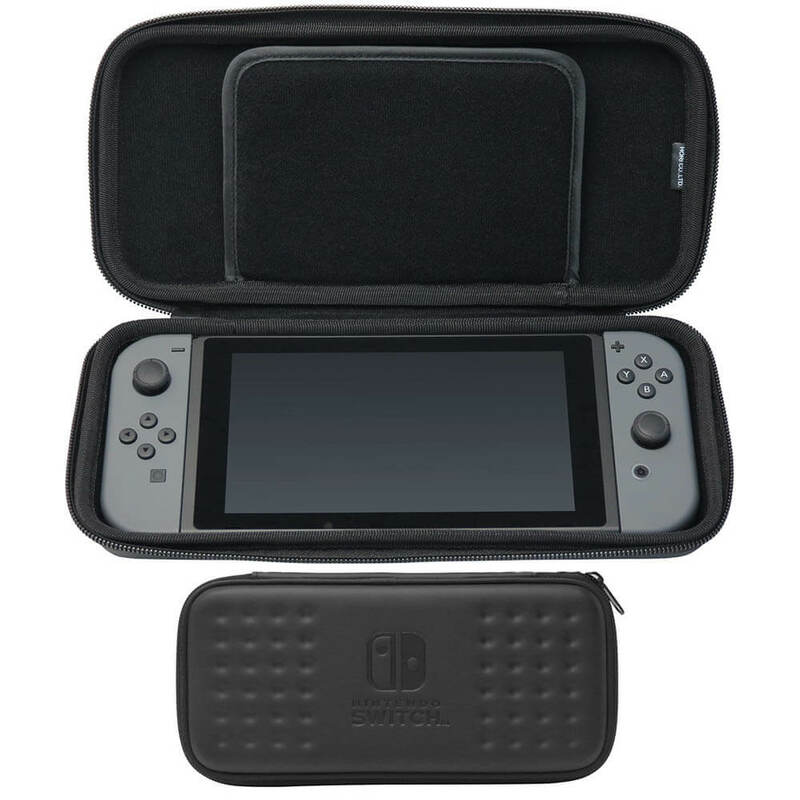 Soft inner lining protects your Nintendo Switch from scratches and wear, and includes pockets to store your favorite Nintendo Switch game cards for gaming on the go!